With just one year to go until the next European elections, EP President Antonio Tajani will outline the results from the latest public opinion poll about the EU. The Eurobarometer survey, conducted in April 2018 amongst 27,601 people from 28 Member States reveals that on average 60% of citizens believe that EU membership of their country is a good thing whilst over two-thirds of respondents are convinced that their country has benefited from being a member of the EU. This is the highest score ever measured since 1983. In Britain the support for the EU remains stable with 53% of Brits believing the UK has benefitted from the membership in the block. For the first time in the last decade, a majority of EU respondents (48%) believe that their voice counts in the EU. Trend results show that this positive development started in the second half of 2016, which might be related to the ‘wakeup call’ experienced after the Brexit referendum in the UK. 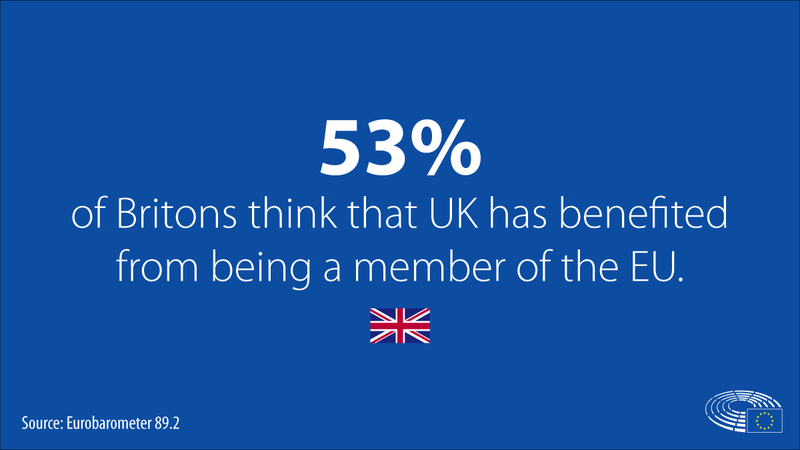 On the other hand only around a third (35%) of Brits felt the same. A majority of respondents continues to be satisfied with the way democracy works in their country (55%) and in the EU (46%) whilst half of respondents do not consider the emergence of new parties or political movements protesting against the political establishment as threat to democracy per se. A majority of respondents (56%) believes that such new political parties might be a vehicle for change - while a clear 70% of citizens warn new parties that ‘just being against something does not improve anything’. The way EU democracy works satisfied fewer Brits however, with 38% stating their contentment with it. In comparison 59% was satisfied with the way democracy works on the national level. British attitude towards the emergence of new political parties largely mirrors the EU trends - almost half (48%) of Brits do not believe the new parties are threat to democracy and a similar number (49%) thinks that they can find new solutions. 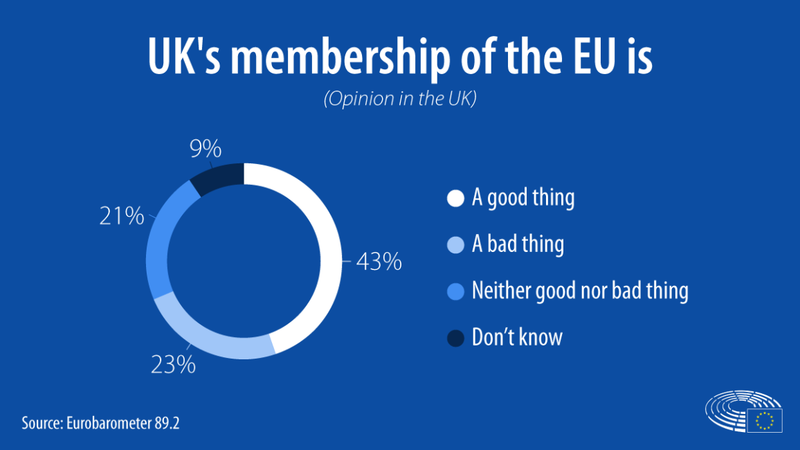 Overall, the survey points to a growing interest in, and appreciation for, the EU as well. The trends also suggest that the fears of the Brexit virus have not materialised with support for the European project on the rise.